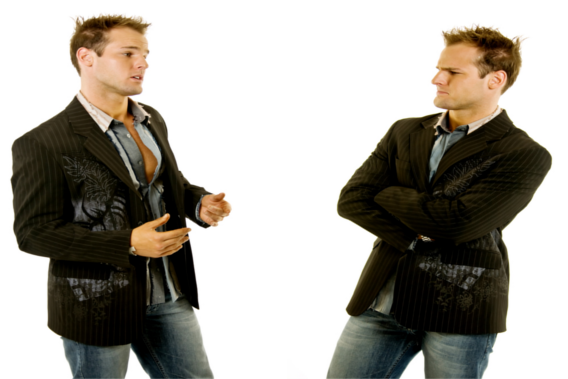 Is Talking To Yourself Really Good For You? Being caught talking to yourself, especially if using your own name in the conversation, is beyond embarrassing. And it’s no wonder – it makes you look like you are hallucinating. Clearly, this is because the entire purpose of talking aloud is to communicate with others. But given that so many of us do talk to ourselves, could it be normal after all – or perhaps even healthy? We actually talk to ourselves silently all the time. I don’t just mean the odd “where are my keys?” comment – we actually often engage in deep, transcendental conversations at 3am with nobody but our own thoughts to answer back. his inner talk is very healthy indeed, having a special role in keeping our minds fit. It helps us organise our thoughts, plan actions, consolidate memory and modulate emotions. In other words, it helps us control ourselves. In a recent experiment in our laboratory at Bangor University, Alexander Kirkham and I demonstrated that talking out loud actually improves control over a task, above and beyond what is achieved by inner speech. We gave 28 participants a set of written instructions, and asked them to read the instructions either silently or out loud. We measured participants’ concentration and performance on the tasks, and both were improved when task instructions had been read aloud.